A READ WITH JENNA - TODAY SHOW BOOK CLUB PICK "A richly observed novel, both ambitious and welcoming." -- Meg WolitzerAn Instant New York Times BestsellerNAMED A BEST BOOK OF THE MONTH BY: Goodreads - Lithub - Refinery29 - InStyle - HelloGiggles - Real Simple - Parade - PureWow - Apple Books - Bustle"Conklin examines her characters' lives with generosity and an unflinching eye for the complexities of love and family.... Fans of Jonathan Franzen's The Corrections will find similar pleasures in the intelligence and empathy on display here." -- USA Today (four stars)When the renowned poet Fiona Skinner is asked about the inspiration behind her iconic work, The Love Poem, she tells her audience a story about her family and a betrayal that reverberates through time. It begins in a big yellow house with a funeral, an iron poker, and a brief variation forever known as the Pause: a free and feral summer in a middle-class Connecticut town. Caught between the predictable life they once led and an uncertain future that stretches before them, the Skinner siblings--fierce Renee, sensitive Caroline, golden boy Joe and watchful Fiona--emerge from the Pause staunchly loyal and deeply connected. Two decades later, the siblings find themselves once again confronted with a family crisis that tests the strength of these bonds and forces them to question the life choices they've made and ask what, exactly, they will do for love. 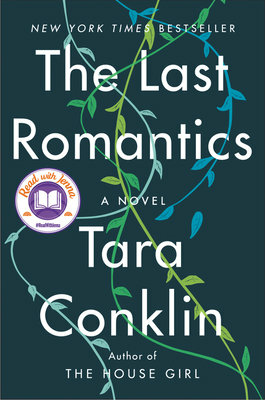 A sweeping yet intimate epic about one American family, The Last Romantics is an unforgettable exploration of the ties that bind us together, the responsibilities we embrace and the duties we resent, and how we can lose--and sometimes rescue--the ones we love. A novel that pierces the heart and lingers in the mind, it is also a beautiful meditation on the power of stories--how they navigate us through difficult times, help us understand the past, and point the way toward our future. Conklin's wise, sharp prose makes this book the sort you want to press into the hands of someone you love as soon as you finish.... Conklin already made a literary splash with her bestselling debut "The House Girl," and "The Last Romantics" should earn her many more readers. Fans of Jonathan Franzen's "The Corrections" will find similar pleasures in the intelligence and empathy on display here. Conklin manages to rove between viewpoints and decades without ever veering into cleverness or self-consciousness. Instead, "The Last Romantics" is moving and utterly engrossing, a juicy tale of the heart that never insults its reader's intelligence. At the opening of her story, Fiona tells the audience member whose question prompts her recollections that If you live long enough and well enough to know love, its various permutations and shades, you will falter. You will break someone's heart. The family story Fiona tells certainly backs up this assertion, but just as powerfully and poignantly, she includes a piece of advice that Caroline receives from an acquaintance while in the throes of grief.... Choosing love --- making the bold choice to love even when heartbreak and loss are the inevitable outcomes --- underlies the Skinner family's story and vividly makes the case for love after all. ...[a] lovely page-turner... "The Last Romantics," which takes its name from a blog that the young Fiona writes about her sexual escapades, is one of those books that agreeably floats between characters and time periods, following its own elegant trail.... [I]t's a book that beautifully understands its characters.... In its elegiac final chapter, "The Last Romantics" leaves its characters � and its dazzled readers � surrounded by a halo of love. An elegantly penned family saga that stretches for nearly a century... It is the strength and fragility of the siblings' bond, the evolving nature of love that is at the core of Conklin's novel. And Fiona, with her uncommon insights, her lyricism and steady pacing, feels like the perfect narrator. Gracefully rendered, The Last Romantics focuses on the familiar theme of family with great originality.